Bulk Safety Equipment has been supplying tradies and all industries for more than ten years. 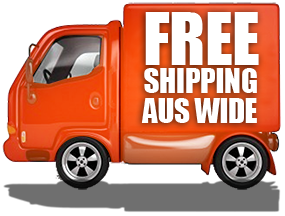 We ship Australia wide to all cities & remote locations . Being an online based company, you have the benefit of great prices. Less overheads means better prices for our customers. Look online at your leisure, day and night, send an email, or ring for any advice on any product and price they wish to compare. With our pricing structure, as the size of the order goes up, the total price comes down. We have a network of couriers and transport companies we use to have our products delivered to the most remote locations, FREE (unless specified) Australia wide on all products. Bulk Safety Equipment has a vast range of suppliers to enable us to select the best product suited for your application.